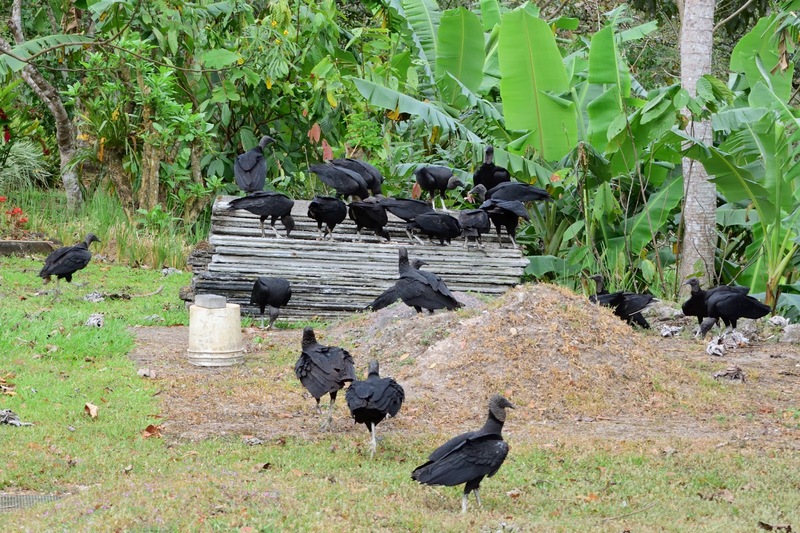 I left food for the vultures yesterday and the entire crew showed up. They are an extremely effective clean up crew when they arrive in these numbers. 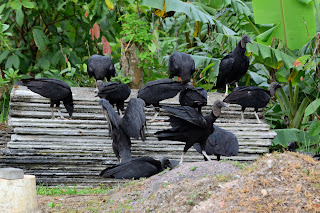 This morning I learned a group of vultures feeding is called a "wake".